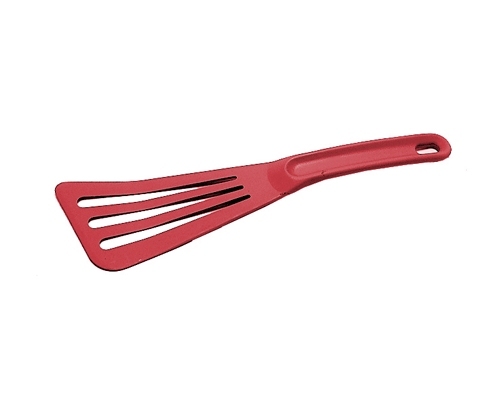 Matfer Bourget Exoglass Red Fish Spatula 12 in. Comment: Thanks for having this. I found one at Sur La Table a few years ago and they don't carry it any longer. This was a gift for my sister who used mine and was very impressed. It works better than any other spatula I've ever used. Comment: The Matfer Bourget Exoglass Red Fish 12" Spatula works perfectly on pans that have a non stick coating on them. They are the perfect size for picking up fish or other delicate foods, without fear of damaging the food. I would highly recommend this item. I have had one in the past that I have used for years. When I purchased this one, I purchased two, to be certain I had a back up.